Some research supports the theory that local honey– obtained as close as possible to where you live–may help build an immunity to some seasonal allergies. There is not much research to support this idea, yet many people claim that using honey in this way provides allergy relief. Allergies are triggered by continuous exposure to the same allergen over time. Even if a particular plant is not allergenic initally, it can potentially become very allergenic if you spend much time in the same environment as the plant. Honey made by bees in the vicinity of the allergenic plant will contain tiny amounts of pollen from that plant. 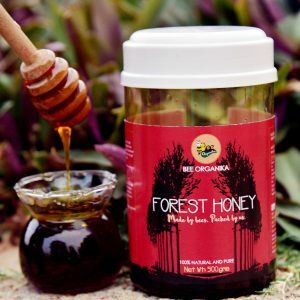 This honey will act as a sort of vaccine if taken in small amounts–a few teaspoons per day–for several months, and can provide relief from seasonal pollen-related allergies. 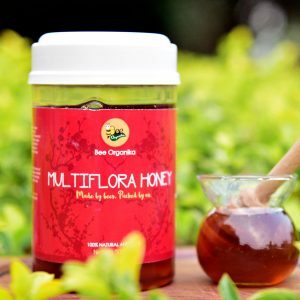 Honey is also rich in powerful antioxidants and cancer-fighting phytonutrients, which can be found in the propolis, or “honey glue” that the bees use to sterilize the beehive. Raw honey contains some of these compounds while pasteurized honey does not. In its natural, raw state, honey contains many enzymes that can help some people digest food more easily so it may also help treat ulcers and diarrhea. 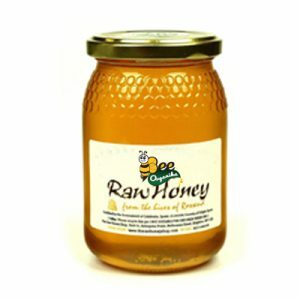 The nutrient content of raw honey varies, but a 1-ounce serving contains very small amounts of folate as well as vitamins B2, C, B6, B5 and B3. Minerals including calcium, copper, iodine, iron, magnesium, manganese, phosphorous, potassium, selenium, sodium and zinc can also be found in raw honey in small amounts. Honey can be used as medicine. It has anti-microbial, anti-inflammatory, anti-fungal, and antiseptic properties. For this reason it can be applied topically to treat burns. 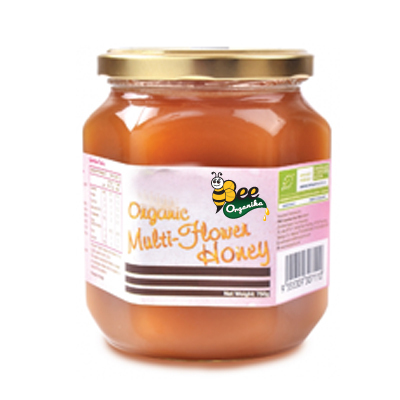 Honey has also been found to be especially useful in treating upper respiratory infections. A study at Penn State College of Medicine in 2007 found that a small dose of buckwheat honey was more effective than an over-the-counter cough treatment for children. Honey is the ideal supplement on the go. It is full of carbs and easy on the stomach (unlike some gels). Its ingredients consist of 38% Fructose, 31% Glucose, 2% Sucrose, 7% Maltose, 17% water and a few other miscellaneous things. Thus these sugar types, some more complex than others, give an endurance athlete a nice balanced “boost” during longer runs or an endurance event. Studies show that using honey over regular white table sugar can help steady blood-sugar levels— good news for those with prediabetes or insulin resistance. Compared to other sweeteners, honey has higher levels of antioxidants. Helping your body break down those free radicals after a post workout. Using honey instead of white sugar for a few weeks can lower your “bad cholesterol” and reduce levels of C-reactive protein, a measure of inflammation in vessels.